A Swiss Mowag GW3500 in GS configuration. The Mowag is based on Dodge Power Wagon mechanical components. Soft-top cab and rear body with seats. 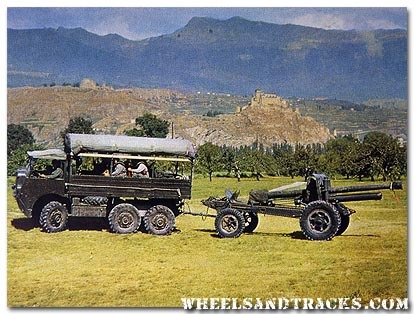 A Saurer M6 is towing a 10,5cm howitzer. 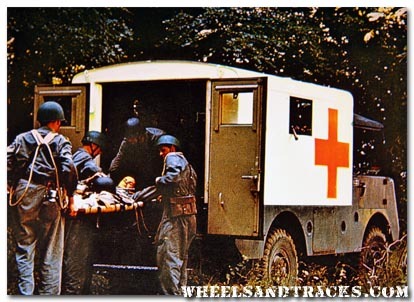 The M6 were produced from 1940-48 and appeared with cargo and house-type van bodies. 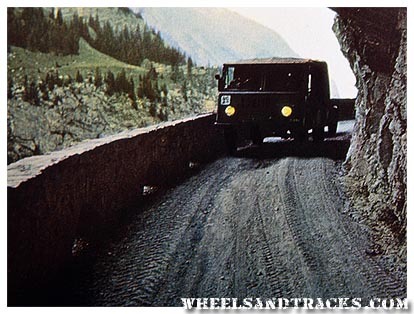 The Saurer M4, M6 and M8 range had a very sophisticated cross-country chassis with many novel features. Note: The driver is sitting on the left side, instead of right side. The pic was published like that. Soil auger on a trailer (Erdbohrgerät 52). 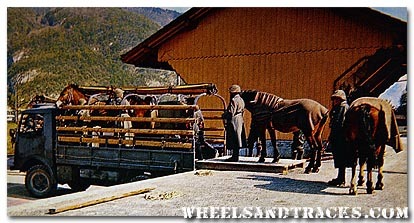 The Swiss Army heavily used horses (eg. Austrian Haflinger breed) in the mountain regions. 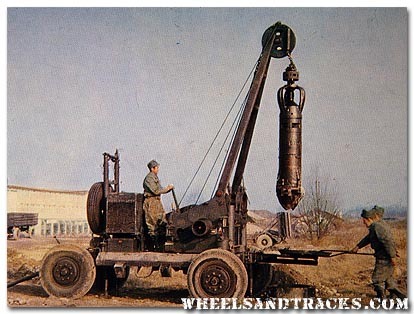 Here they are transported on a Saurer 2CM or Berna 2UM. A Mowag GW3500 in ambulance configuration.